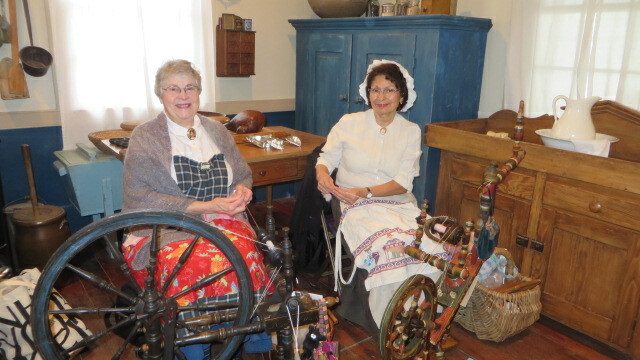 You know how every year I participate in the Antique Spinning Wheel Showcase? 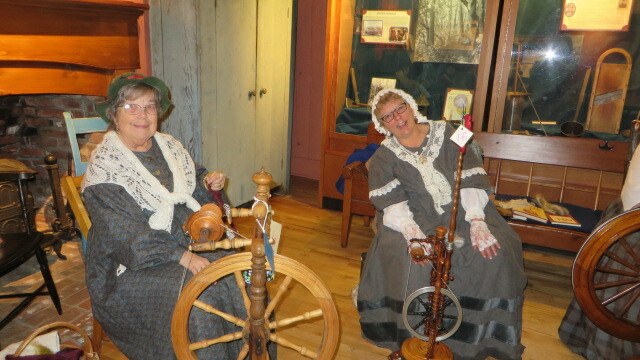 It’s a two-day event, where spinners gather in the historic Aurora Colony’s Museum, and spin on their antique wheels. It’s a public event, and it’s amazing how many people come to visit and check out all the different wheels. 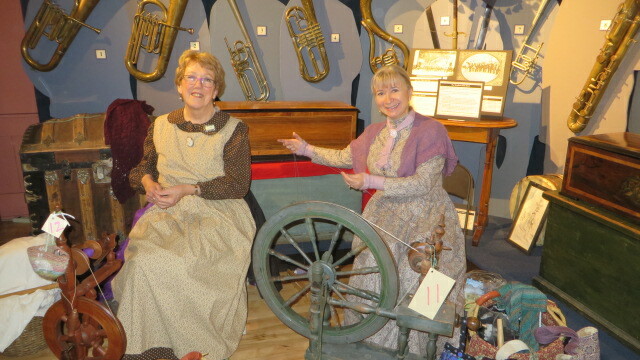 We all dress up in period costumes to keep it authentic. Usually there are around 38 wheels, all of them different. It’s really a fascinating experience. 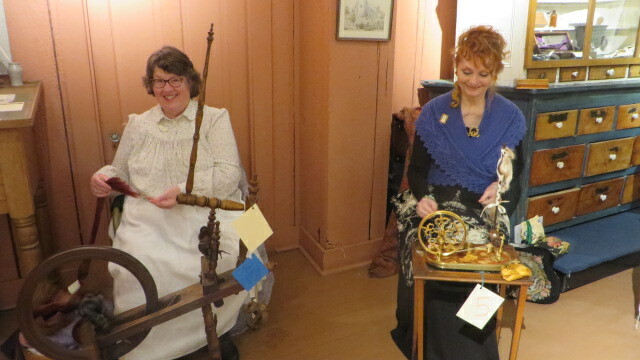 Anyway, I was there, spinning on my little antique wheel; I had a ball. 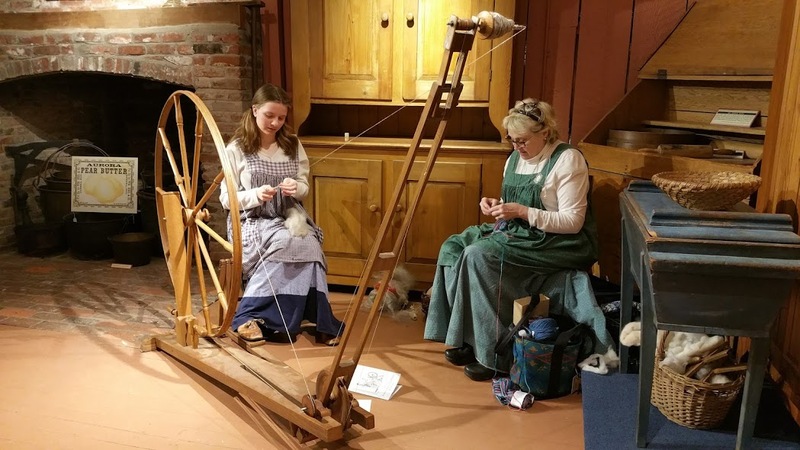 It’s such a time of camaraderie and fun, talking to the visitors and among ourselves, and getting lots of spinning done. I always feel so grateful that I can take part in this event. I subscribe to a spinning magazine called Ply Magazine. 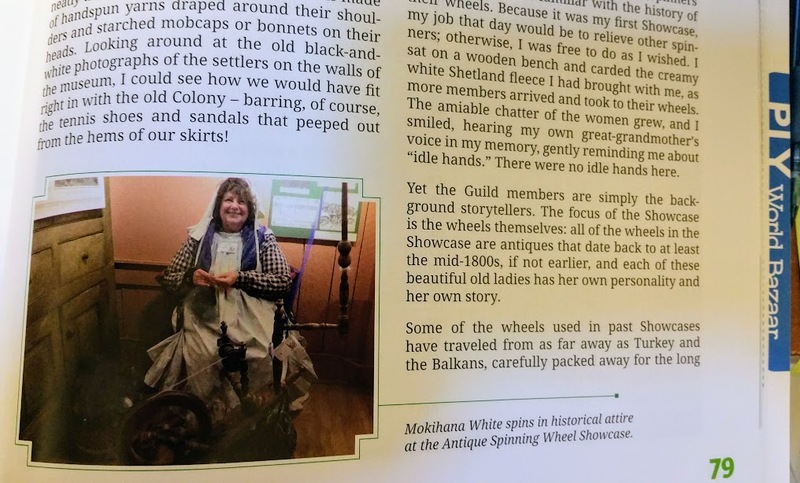 And a friend of mine in my spinning guild told me she’d written an article about our guild and submitted it to the editors. That was pretty exciting; I was happy for her. And several months later when I got my issue, I immediately turned to her article. So kewl, yeah? But oh my gosh! What was that I saw at the bottom of the second page? Holy smoke!!!! I couldn’t believe it!! Jessica had left out one tiny detail when she told me about the article. She’d submitted about a hundred photos for the article, letting Jacey, the editor, choose whichever ones she wanted to. And this is one of the ones that Jacey chose. Jessica knew about it, but kept it from me to surprise me till the magazine came out . I about fell over when I saw it. My small kine moment of fame… how fun is that! 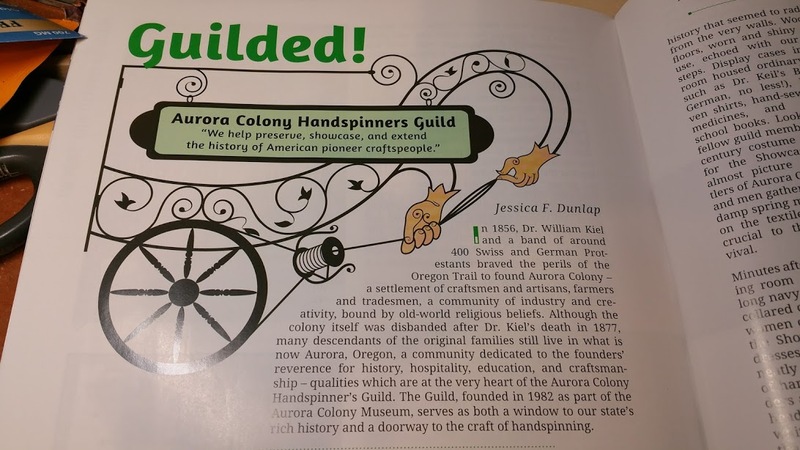 This entry was posted in Da Kine: Sometimes Full-on Pidgin, Handspinning and tagged antique-spinning-wheel-showcase, aurora-oregon. Bookmark the permalink. Thanks!! I still kinda can’t believe it. Nah nah nah… just an accidental one. No, I no tink so. You are a purposeful, wonderful, person. Awwww….. too sweet you!!! Mahalo!